Ninety-five percent of the businesses in Macomb County are defined as a “small business” - one that employs fewer than 50 people. Every day, the Macomb County Department of Planning & Economic Development works to help these businesses grow and assists entrepreneurs in starting their own small businesses. Macomb County works closely with the Michigan Small Business Development Center to help entrepreneurs start their businesses successfully. Through that partnership, we offer access to the services of SBDC Certified Business Consultants who are prepared to work with you and your small business in a variety of areas including; marketing, financial analysis and planning, strategic planning, management and operations.  The Macomb County SBDC offers a number of classes and workshops catering to the needs of entrepreneurs. Many one-day seminars are held throughout Macomb County at no cost. If you are looking for more comprehensive training, entrepreneurship classes are offered in conjunction with Macomb Community College’s Continuing Education Division. The Macomb County SBDC also provides free, confidential business counseling assistance. This service allows you to schedule an appointment to meet one-on-one with a certified business consultant to address your specific needs. Business plan development, marketing plans, sources of financing, financial analysis and general management issues are areas of expertise that reside in the center. A distinct advantage that the SBDC enjoys through its state and national affiliations is its immediate access to vast resources for gathering and analyzing market research, economic and demographic data. The benefit to our businesses is that these tools allow for enhanced decision making. With the ability to track business and industry data, companies can make fact-based decisions regarding site selection and other opportunities.